Recently I was down in Geelong for a lovely event at The Hot Chicken Project were I was profiling my own Vino Intrepido wines along with some incredible examples from the Enoteca Sydney portfolio that I represent here in Melbourne. I was joined by my gorgeous fiancé, and before the event we went for a drink at Geelong Cellar Door, owned by John Helmer who I met some years ago when he was working at Corks Crew Cellars in Torquay. John insisted we try his first foray into winemaking, and I was thrilled to open a bottle of his Domaine d’Esterre ‘Lalou’ Rosé 2017. Let me know what you think in the comments below. Hard to believe, but this is actually the first recorded edition of Let’s Taste for 2018, and it happens to be at an entirely new location. My young family have just moved house (a fun exercise during vintage to say the least), and I was excited to taste some perennial favourites at the new address! Yalumba is one of Australia’s most important wine producers, with an incredible range from iconic to approachable. The ‘Y Series’ range has always represented outstanding value, and I happily opened the range of chilled wines from the 2017 vintage. Let me know what you think in the comments below, many thanks to Yalumba for sending the samples! Witchmount Estate is one of the closest wineries to central Melbourne, and has been producing outstanding wines for many years. Having been submitted some samples I was thrilled to taste some Witchmount wines on Let’s Taste for the first time! Let me know what you think in the comments below! In this the final of three parts, I taste the Rogers & Rufus Rosé 2016 from the Hill-Smith Family Vineyards portfolio. This is a rosé made from Grenache from the Barossa region of South Australia. Let me know your thoughts in the comments below! When many people think of rosé they think of a sweet pink wine, but times have changed (for the better) and you can easily find good quality fresh and dry examples being produced around the world. 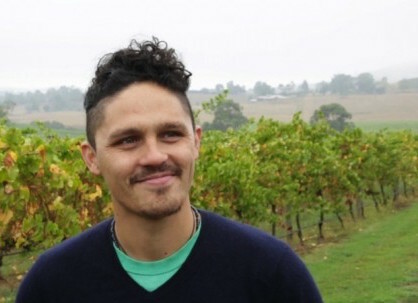 For episode 30 of The Vincast I invited sommelier friend Wiremu Andrews (currently working at Rockpool Bar & Grill in Melbourne) to discuss the history of rosé, the production methods & styles, and what you can expect from certain regions and varieties.